From COP21 in Paris to COP22 in Marrakech, Pope Francis’ encyclical Laudato Si’ does not cease to inspire international entities more than a year after its publication, says Cardinal Peter Turkson, president of the Pontifical Council for Justice and Peace, in reference to the United Nations Climate Change Conferences of this year and last. ZENIT: On the eve of the COP21 summit, when the terrorist attack in Paris resulted in the canceling of a march to support the fight against climate change, thousands of shoes were left at Paris’ Republic Square: shoes representing Pope’s Francis’ efforts, your own, and that of Cardinal Claudio Hummes were also left there. 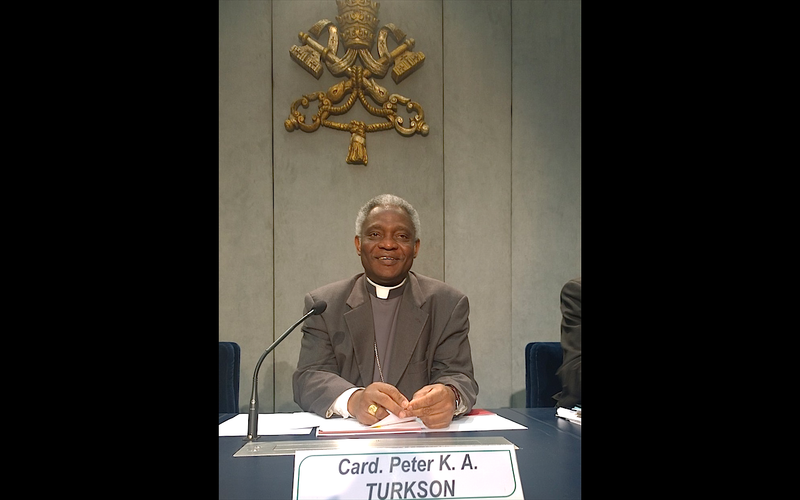 Cardinal Turkson: I had to lead the Holy See delegation, and one saw how the Holy Father’s encyclical gave an impulse to all the discussions … In this sense, the encyclical was published at a Providential moment. Even before COP21, I attended a Conference, organized by Nicolas Hulot, the Summit of Consciences for Climate, on July 21, 2015, to sensitize the leaders and to prepare them for COP21. In his address after the opening, the President of the Republic quoted the encyclical Laudto Si; that was somewhat astonishing, because it is France that so energetically promotes the separation between religion and the state … There the President quoted the Holy Father, paragraph after paragraph, to make the point on the great need to “to look after” and safeguard the earth. Cardinal Turkson: Perhaps, perhaps … I don’t know if, in preparing this colloquium, Monsignor Follo thought of that … In any case, one witnesses this coincidence: we gathered at Paris where the first COP21 was held and also the Conference of Consciences for Climate, and we find ourselves here to discuss the subject at the very moment where at Marrakech the implementation is being discussed of agreements made here, the great lines: at Marrakech, flesh is being put on the bones, so that they become concrete, are implemented. Our conversation, by recalling what was said here a year ago, might give a sort of impulsion, by attracting attention on the need not only to conclude agreements but to be engaged for their implementation. ZENIT: More than 200 persons, of whom at least 40 Ambassadors, are taking part in this colloquium at UNESCO: is there great interest for the word of the Holy See on these subjects? Cardinal Turkson: Certainly. And the Holy See will always be there and I can imagine that the encyclical will always give an impulsion. A preparatory event to COP22 was organized at Rome, in the Vatican, on September 28 – a colloquium on the theme: “Laudato Si’ towards COP22.” Points were established that were passed to Morocco, to the Nunciature, because it’s the Nuncio that leads the Holy See delegation. So on our side, we already prepared ourselves at Rome for COP22. ZENIT: Eminence, you are from Ghana, a country of some 26 million inhabitants, with over 70% being Christians. You were Archbishop of Cape Coast for 17 years. What welcome was given to Laudato Si’ in your country? Cardinal Turkson: One of the first reaction to the publication of Laudato Si’ came from the President of Ghana, through the Ambassador of Ghana to the Holy See: The President congratulated the Holy Father for the document. Then, he himself came to Paris, before the Conference of Consciences for Climate. He referred to the advance of the Sahara desert, which is a great threat, stressing the need to maintain the forests. But before Ghana was called the “Gold Coast,” and there is still much gold, not in the depth of the earth as in South Africa, but very near the surface. So there are many people who make holes, and on making holes, they destroy the forests. It’s not a good way to protect the forest and to protect the earth against the advance of the Sahara. When a mine is found, the forest is cut first, and then the subsoil is dug. In the end, a great hole is left that can’t be used for anything. It’s a great menace that rather facilitates the advance of the desert and climate warming. It’s this, unfortunately, which we are witnessing in our country: the forests are still being cut. <People> come to our country to look for wood which is called “rosewood,” and it’s cut freely. Unfortunately, economic needs surpass the need to safeguard the environment, the earth. It’s necessary for a country like Ghana, yet a sort of balance must be kept between the two because, as the encyclical says, we must think: what<kind> of world are we going to leave to future generations. It’s not necessary to exploit it, leaving a desert to <future> generations; more attention must be paid to inter-generational solidarity. In any case, there are nations that have become aware of all this. I attended a Congress in Zambia: the Episcopal Conference organized an event to which certain mining companies and Ministers of Agriculture were invited for a discussion. It was a great attempt to become aware of the link between human activities, the safeguarding of the environment, and the country’s economic system. It was a very laudable initiative. So there are countries where there is positive awareness of this situation. There are also countries that must yet wake up a bit to see the threat. 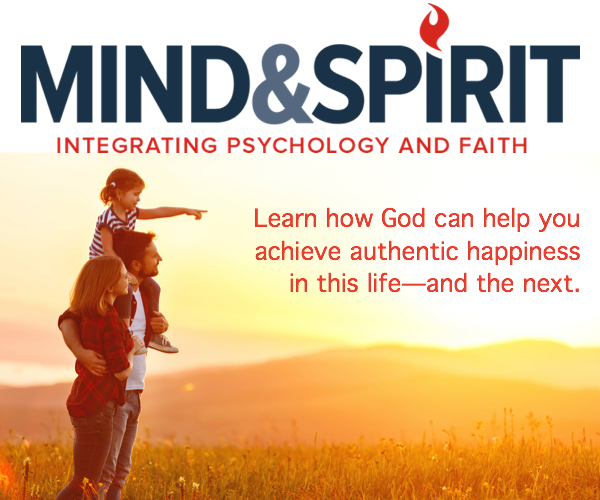 ZENIT: You are also a biblicist, perhaps you would like to give our readers a Word of God that you have at heart and a prayer intention? Cardinal Turkson: I remember certain verses of the Book of Proverbs. It’s Wisdom personified that speaks: “I speak but people do not listen to me. And because you do not listen to me, a moment will come when I will not hear your voice.” It’s a sort of reciprocity: Wisdom speaks, tries to give a teaching, and hopes to have a hearer. But, unfortunately, sometimes people do not listen to <Wisdom’s> voice. I think it’s the situation of today’s world. There are persons who speak to us as Wisdom does. The Holy Father is one of those voices. There are many in the world who try to attract attention to what is happening. And I hope that also in Marrakech, as here last year, there are voices that speak to us as Wisdom. And I hope that there is a listening to all these voices. And in this sense my prayer is that we succeed in developing a listening to the different voices of Wisdom that come to us in our time.